Yesterday our half day guided walk passed along Burbage Edge – one of the high gritstone edges that the Dark Peak area is famous for. 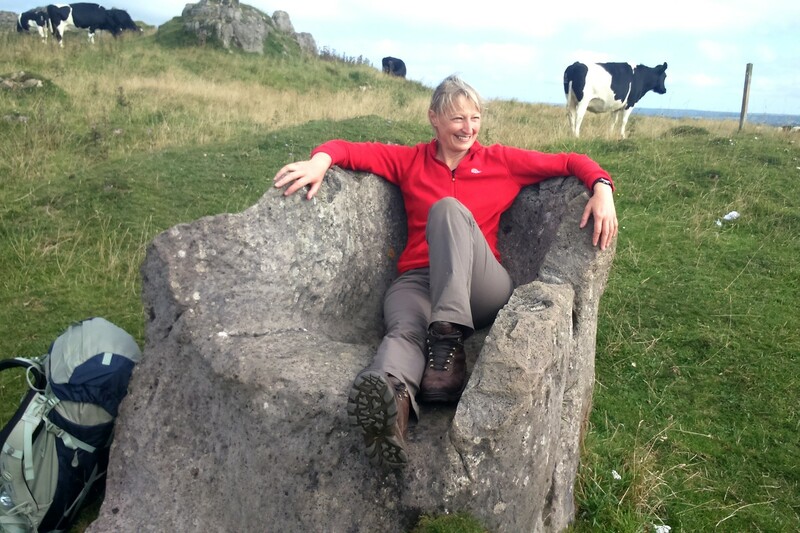 The views are stunning and it is a great walk, but years ago it was once the site of several small quarries producing millstones and occasionally other stone objects such as drinking troughs. This magnificent trough can be found on the path that leads down from Burbage Edge towards the A6187. Due to its size I can quite easily imagine that it might have been destined to be a horse drinking trough at a coaching inn, or maybe in a town centre. It is quite easy to see why it was abandoned before the stone masons had finished it, as there is a massive crack right across it. It is interesting as being unfinished, you can see the process that was used to produce these stone troughs. The stone was first crafted into a huge rectangle, then a channel was chiseled out inside leaving a stone ‘island’ than would eventually be hacked out leaving the perfect trough.